Lawsuits, fines, and turnover, oh my! Workforce compliance is complex, confusing even, but essential to ensure you’re not putting your dealership at risk. Fines and lawsuits can cost in the hundreds of thousands of dollars (or more! ), and turnover is seriously eating away at your dealership’s productivity and profits. This guide will help you improve compliance and ensure your dealership is protected. Download the Definitive Guide to Workforce Compliance for Auto Dealers today. The cost of non-compliance is high. A discrimination lawsuit settlement…say goodbye to the profits from 33 cars. A Gramm-Leach-Bliley Act violation…so long profits from 10 cars. The average cost of annual staff turnover…time to shed a tear (or many) over the profits of 1,700 cars. This 65-page guide is filled with valuable infographics, thought leader interviews, and worksheets to help your dealership focus on the right things keep you on regulators’ good side and out of court. 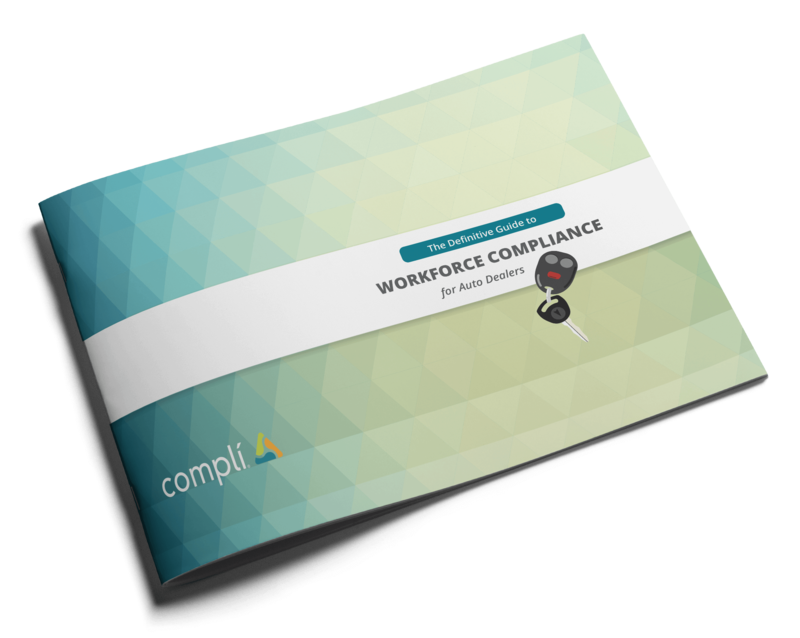 Button up your compliance program; download the Definitive Guide to Workforce Compliance for Auto Dealers today.